ViewRay, Inc. and Device Technologies Australia Pty Ltd (Device Technologies) developed a partnership in which Device Technologies, the largest independent distributor in Australasia, will market, sell, and support ViewRay’s MRIdian MRI-guided radiation therapy system. 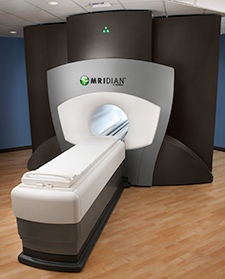 MRIdian provides continuous high-contrast imaging of soft tissue during radiation therapy treatment to help clinicians position the patient, track tumor and anatomical motion, and accurately target treatment. MRIdian also enables on-table adaptive therapy, which allows clinicians to adapt to changes and movement in the patient’s anatomy in real-time while the patient is being treated, bringing even greater precision to radiation delivery. Device Technologies is dedicated to improving patients’ lives through the supply of leading-edge technology and services to Australian and New Zealand hospitals and healthcare professionals. Device Technologies continues to grow, with more than 250 trusted brands from the world’s most innovative medical companies and 850 highly skilled staff, making it the largest independent distributor in Australasia. Customer service and patient care remain critical core values. ViewRay partners with Australia, New Zealand distributor to deliver MRI-guided RT. Appl Rad Oncol.